That certainly makes it sound like he figures into the story in some capacity. Granted, this is a quick hit from a random person on the Internet, so put as much stock in this as you dare. We’ll have to wait and see if this pans out in reality. What’s tricky if Biehn is involved is that Hicks dies at the beginning of Alien 3. That’s going to be hard to work around. Blomkamp already caused a stir when he made comments that made is sound like he was going to discount the events of Alien 3 and Alien: Resurrection, though he later came out and clarified what he meant. There’s also been talk that this could be a prequel, which brings its own set of problems to the table, not the least of which is the fact that Biehn and star Sigourney Weaver are much, much older than they were in 1986. Funny how that happens. The action could also happen between Aliens and Alien 3, and it’s possible that Ripley and Hicks, and probably Newt, wake up from Hypersleep, have an adventure, and go back to Hypersleep where they are at the beginning of Alien 3. We’ve even seen clones play into the timeline already, so that’s one option to consider as well. Basically, the point is that we have no idea what Alien 5 is going to look like at this juncture. And the more we learn about it, the more questions we have. But who really cares, because we’re getting a new Alien movie directed by one of the most promising genre filmmakers working out there, and that’s good enough for us. I am off the opinion that the pod that crashed on Fiorina 161 was containing clones of the surviving crew members. Burke had multiple cards to play to get an ‘alien’ sample and one of them was to clone anyone potentially infected and to let the originals be found and quarantined while the clone pods would slip into corporation hands. Just my two cents. 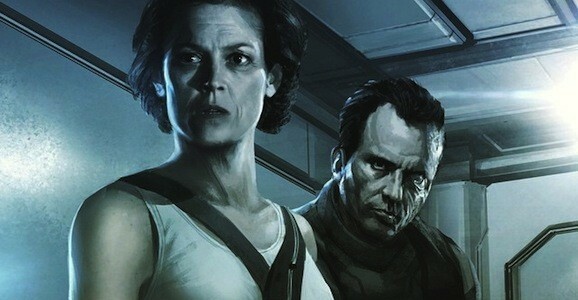 He could do the film from the game aliens colonial marines, as that play with the idea that hicks was taken off the spaceship that ripley and him was on and the clone or an unknown person as point of view could be a great turn of the events that would still keep alien 3 and alien resurrection in place. Come on people, this is Blomkamp. Either the movie will be a POV of a human who’s birthed an alien (but the alien retains part of the consciousness of the human host) and the alien/human will have to endure speciesism from humans or class warfare within the alien culture. Or Hicks will come back as a species rights advocate for the aliens and show us how we humans are the evil creatures and the aliens are just misunderstood by right wing xenophobes. Yes, honey. I think we both can. Now there were 2 incidents where Ripliey had Chestburster nightmares in the movie so we know that this is actively on her mind. Also, she would be in stasis so when she would dream, she would not be able to wake up, playing out the events of Alien 3 & 4. My uncle wrote a (pseudo)script back in the 90s that had Alien 3 all be a dream of Ripley’s. He (as well as I) were disappointed in the handling of canon in Alien 3. First, an egg will not hatch until there are three things present in close proximity to it: movement, heat, and a heart beat. Therefore, how did the facehugger come to be roaming around? Also, how did the facehugger know that there were hosts in the cryotubes? Because, in a cryotube your core temperature is lowered as well as your heart rate to almost nothing. So Ripley, Hicks, and Newt would have appeared dead to the facehugger. Remember, they do not have eyes. I believe this is the best way to go, i.e. to have all the events of Alien 3 and Resurrection be nothing but a dream. This would also lend to explaining Hick, Ripley, and Newt being older. This new movie could pick up some time after Aliens and some time after they woke up. Because unless they change something, it has been established that you do not age while in cryostasis. Never did understand even HOW the facehugger / egg got on board in the first place. Good point on the facehugger and the cryotube. 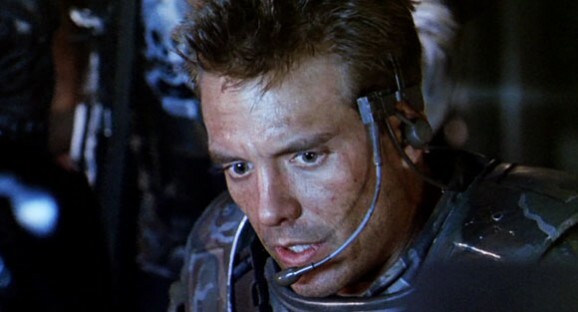 Kane was in a spacesuit in Alien. So far the only obvious criteria that Kane fulfilled was movement. The facehugger inside must have been sensitive as hell to detect heat and a heartbeat (Insulated spacesuit). Besides, the environments in the egg/alien chambers were described as hot, with Kane describing it like the tropics and Hudson stating it was a dry heat.